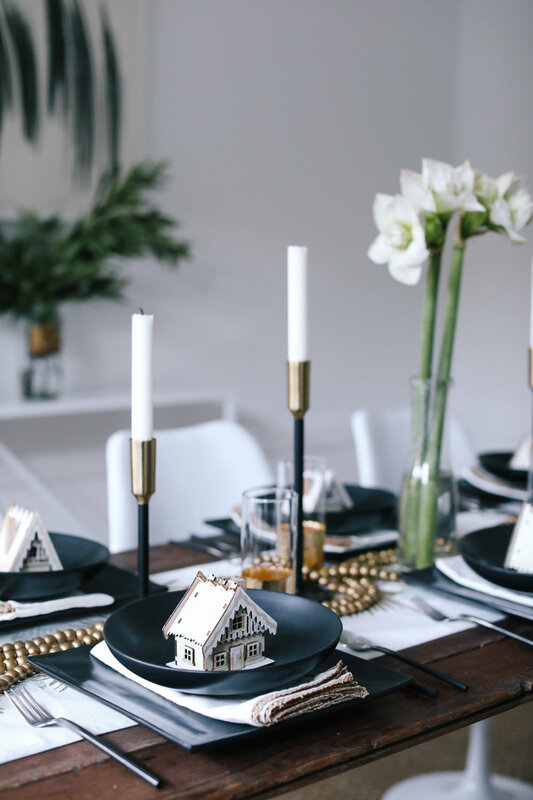 This season, Caitlin Flemming from Sacramento Street partnered with World Market to create an inspiration tablescape that is kid friendly. 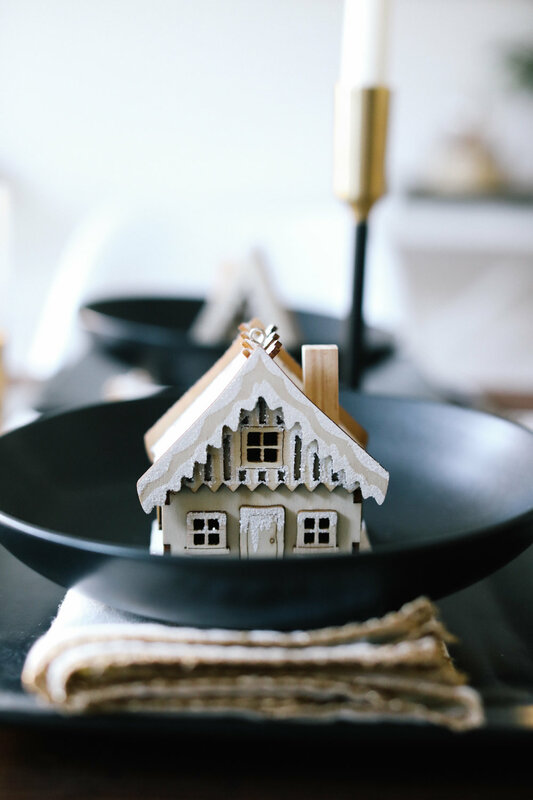 And let me tell you, kid or not, I LOVE the little wooden homes details. 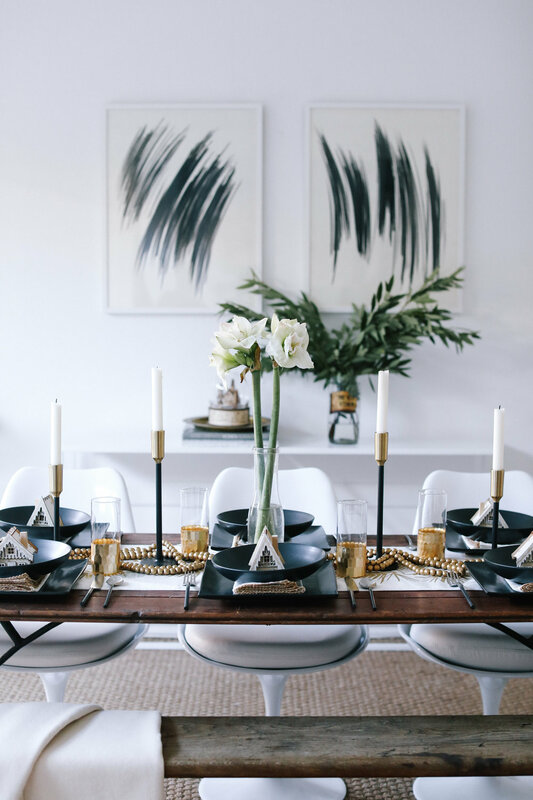 I think this table is the perfect dose of holiday yet simple for those who like tables on the more easy and simple side of decorating.